It is not always easy to find a casino website that gives tons of game options but Wild Wins Casino wants to be different. With more than 600 games on the website, you will have plenty of slots and other casino games to choose from. Aside from the huge number of games, Wild Wins Casino also delivers amazing promotions to its users. 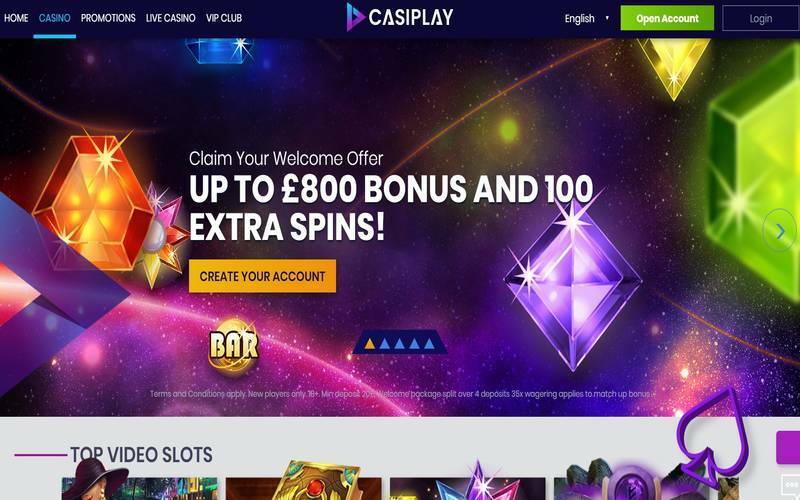 If you have signed up for an online casino account before, you will find that this website asks for more or less the same details from you, such as your credit card or bank account information, your location, age, and email address among others. The website is licenced by trusted organisations so you can rest assured that your account will remain safe and secure no matter what device you opt to access the website from. 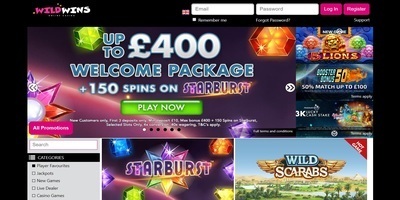 Wild Wins Casino may be one of the youngest casinos around since it has only been established in 2018 but it has become one of the most popular sites for gambling for those in the United Kingdom and many other countries. One of the aspects that you will easily notice when you log in to Wild Wins Casino is the website’s intuitive interface. It contains high-quality games that let you play slots and table games among others. The website also features diverse software developers and there are plenty of promotions as well. Additionally, if you are used to making payments with your phone, you do not have to look for another method since you can quickly call the site and make your deposit. On the other hand, perhaps one of the things that this online casino needs to improve on is the withdrawal time. It usually takes 72 hours before the withdrawals are disbursed. Nevertheless, it is still much faster than other websites out there. Also, there are times when you can get your money within 24 hours. If you are comfortable with a certain payment method that you wish to use while playing with your new account, you will be happy to know that the website accepts various channels for deposits, including Skrill, Visa, MasterCard, Maestro, Paysafecard, and Zimpler. You can also withdraw your winnings through PayPal, Neteller, Boku, and the same channels that you can use for depositing money for wagering. Should You Join Wild Wins Casino? The simple answer to the question above is yes. The easy-to-access website lets you play different games, including table games, slots, roulette, blackjack, and even live casino. Some of the top providers include Microgaming, NetEnt, Red Tiger Gaming, and BetDigital among numerous other developers. The site has on-going bonuses every day, which you can earn if you constantly play. While some sites do not accept phone calls for queries and reporting of issues, Wild Wins does, along with several other methods that allow you to communicate with them. You can contact the casino through their live chat support that you can access 24 hours a day and seven days a week. You can also send the customer service team an email that details your problems with a game, your prize, or the site. If you are a VIP member, an exclusive support team will handle your concerns regarding any matter on the online casino. Wild Wins Casino makes it easy for casino lovers to play on the website as it accepts different currencies, including GBP, EUR, and USD.